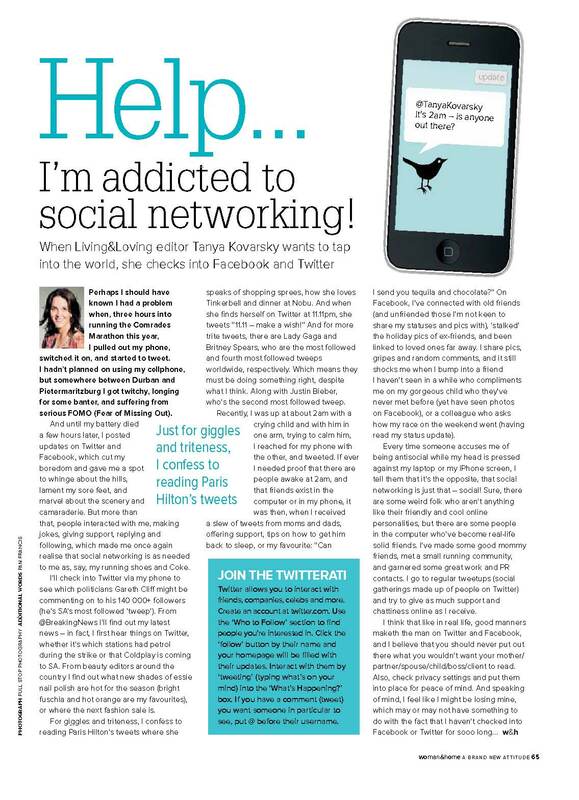 A few weeks ago I was asked to write a column for Woman and Home magazine about my experience of Twitter. Me, write about Twitter? That’s like being offered a fat-free waffle with fat free ice cream and chocolate sauce – an absolute pleasure to indulge in! PS: The part about you waking up at 2am – true story. Thanks for the awesome material. Love this! I am SO happy that Twitter will be part of my everyday routine when #2 arrives! I’m so gonna use that excuse when someone says I’m being anti-social! um, no… in fact, being on Twitter IS very social! Thanks to Twitter I’ve also meet some great tweeps. I’m glad I met you!